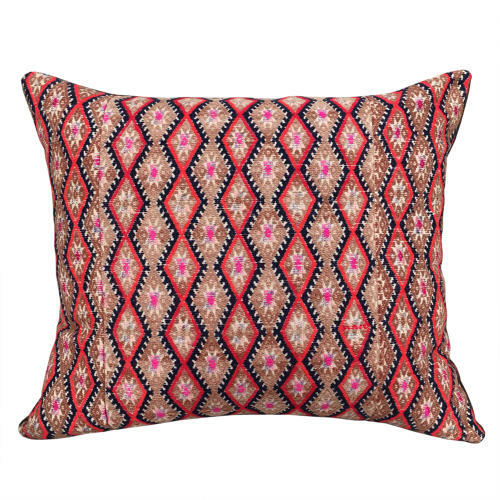 The colours on these striking Zhuang Minority textile cushions are dark blue, red and pale brown, with a dot of pink. The wedding blanket it comes from dates to the middle of C20 and is a mix of synthetic and natural dye colours. I've back the cushions with brown dyed antique hemp, there are zip fasteners and feather pads. There are 2 available in this size and 2 slightly smaller listed separately.